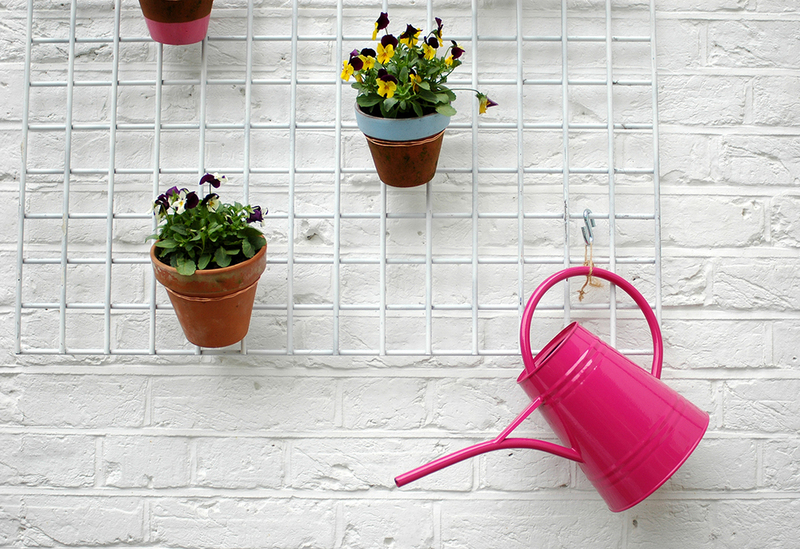 The bank holiday weekend is a perfect time to give the garden a quick tidy up and refresh. The weather was a bit hit and miss this weekend, but I managed to get enough dry hours to get a few things done. I gave the grid a coat of white spray paint, and then potted up a some little violas. 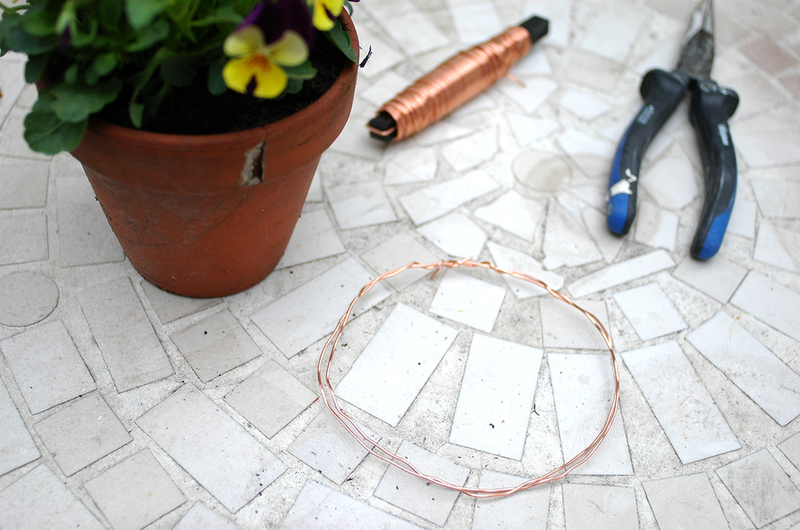 Then I used copper wire to loop around the pots. I then fixed the grid to the wall using a few raw plugs and screws. Finally I used S hooks to hang the pots up on the copper wire. If you fancy making something similar and don't have a random metal grid languishing in your shed like me, then check out shop-fitting websites like this one for a similar thing. I also managed to give the shed a couple of coats of paint to freshen it up and added a few pots here too. It's now much more appealing to go and sit out in our garden than before! What do you think? !